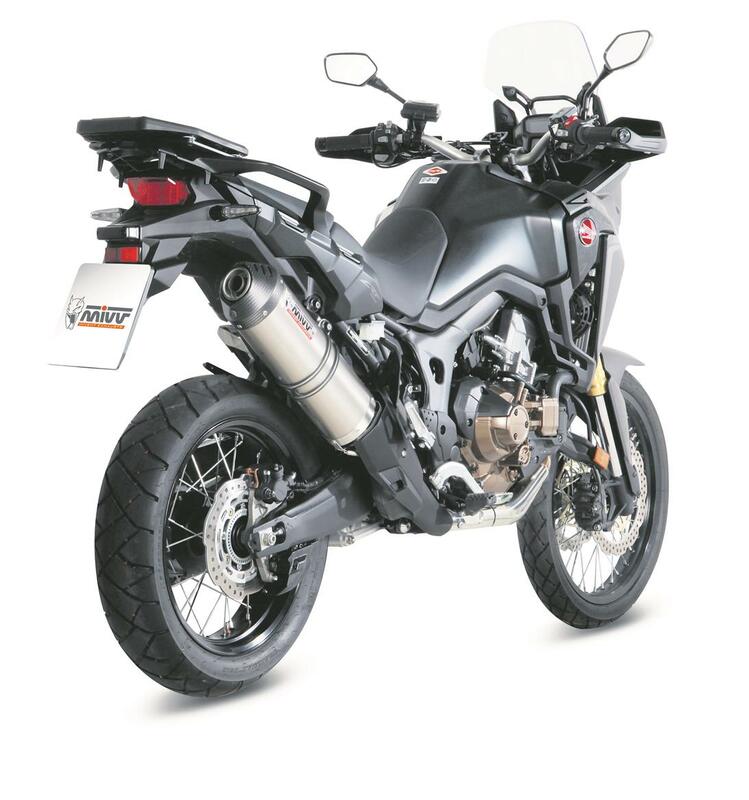 Mivv’s four new slip-on exhaust cans for the Honda Africa Twin promise extra power and torque to deliver a helpful boost when conquering trails. There are two designs to choose from; the Oval and the Speed Edge. The Oval is a ‘true oval’ shape, with the Speed Edge being more of a straight-cut with a flat inside edge – allowing it to hug the chassis of the bike. All four silencers are produced in stainless steel and come in a choice of finishes. Mivvclaim the Oval creates a 7.6bhp increase in power and an additional 4.6ftlb of torque. The Speed Edge gives a boost of 2.6bhp and 3.5ftlb of torque. The Oval with carbon end cap is available in either titanium or carbon casing and is expected to cost £295. The Speed Edge with carbon end cap will cost an estimated £350 and an all-black ceramic-coated version is yours for around £385. All four pipes are road legal, have removable baffles, and have been developed to work without the need for fuelling adjustment.